If there was one concert I could gift you, it would be the Sam Bush Band. Captivated and surrounded by music at an early age, Bush turned himself into a legend with his unmatched skill and unmistakable joy. His creativity is one reason that Allison Krauss says Sam Bush is her son’s namesake. “Atage 11, I got my first mandolin, and from then on, I was hooked. I was the kid that would sit in class and not pay attention. Once the music entered me, that was it. I would just sit in class and try and figure out fiddle tunes,” says Bush. By age 16, Bush was on stage at the Ryman Auditorium in Nashville with Roy Acuff. It was an incredible eye-opening opportunity and perhaps the genesis for this headstrong musical prodigy. His future was calling and any notion of molding or transforming Bush into a traditional player of Bluegrass was not a viable option for anyone. His body of work shows that he was too free-spirited, too much of an electric rebel, and too spontaneous to be anything less than progressive. Bush didn’t try to burn bridges as he performed his way to the headliner he is today, but he might have come close a time or two. Maybe that’s what happens when you’re the best the world has to offer in your chosen vocation. Maybe that’s what happens when your internal joy is your external fire. A wizard, a genius, a prodigy. 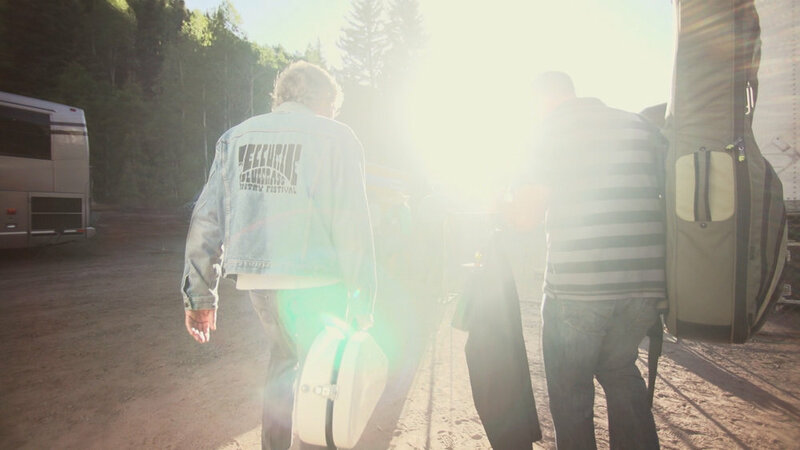 Bush has been christened as “The King of Telluride” to the “Father of Newgrass” – a somewhat accidental name bestowed on Bush after leading his rock-meet-jazz-meet-blues band, New Grass Revival, for all their 18-years. New Grass Revival played their last show on December 31, 1989, opening for the Grateful Dead. “We always wanted to open for The Dead and then, when they learned that our band was breaking-up, they invited us to play. That was a surreal moment,” says Bush. Bush toured and recorded with Emmylou Harris’ Nash Rambler’s for five years before focusing on his solo career and forming the Sam Bush Band. He earns Grammy’s, international and lifetime achievement awards, headlines festivals, plays the most coveted concert halls, and in a new documentary, Revival: The Sam Bush Story, he shares musical manifestations, and details a highly affecting cancer diagnosis while in his 30’s - how it reawakened and possibly redirected thoughts and beliefs. Songs are given new life when Bush is on stage. He generally doesn’t have a creative process and his satisfaction sometimes comes in the form of an acoustic mandolin or an electric guitar. He’s the finest fiddler – ever. With his golden locks rocking to his own rhythm, his talent is unmatched, and performances end with standing ovations as audiences stand in awe of Bush’s’ musical offerings and captivating presence. Bush says he has a good life and he’s lucky to be married to someone who likes sports and hates shopping. “She taught me tennis and I taught her baseball,” he says of his wife, Lynn. The couple met in a bar in Louisville, Kentucky – he was the musician and she was the waitress. He pursued her and the two have been married for almost 35-years. He’s still a musician. She’s no longer a waitress. She’s an accountant. It works. Generations before and generations behind pay close attention to Bush and his next steps as he influences and inspires the most respected musicians. Columnists and critics try and define his music and style, albeit unsuccessfully. He could be likened to a hippie – that’s a fair comparison – but, regarding his craft, his craft is his own - that’s the best definition for his unmistakable ability to give joy through his world of prose and music. It's an inward joy that, once you feel it, you won't forget it. I know I never have.